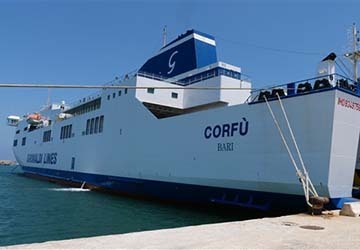 Grimaldi Lines’ Corfu was built in 1999. 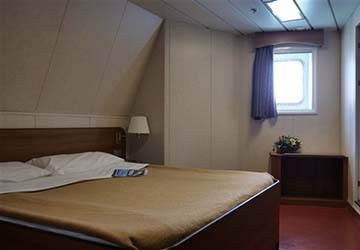 The ship has a total tonnage of 30144 tons and can reach a speed of 18.5 knots. 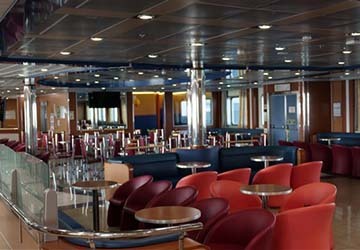 The passenger capacity on each of its voyages is 744 passengers. 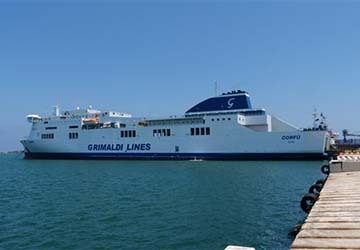 On this Grimaldi Lines vessel there are 112 internal and 75 external cabins, 2 superior cabins and 2 internal cabins for disabled people. 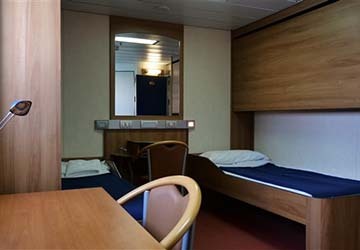 Each cabin is fitted with air conditioning and a bathroom. 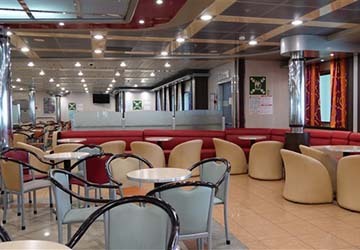 There are also 240 aircraft type seats situated throughout the ferry. 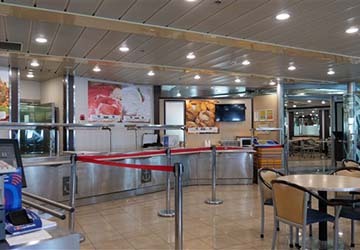 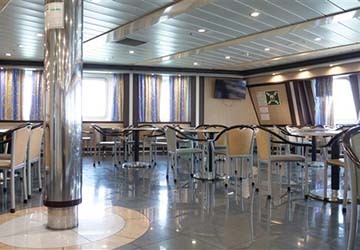 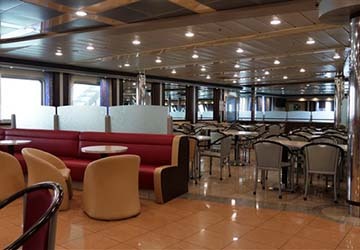 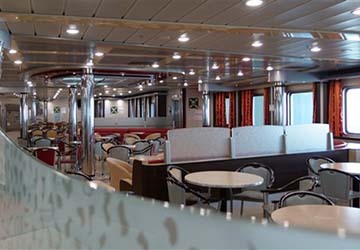 On board you’ll find a self-service restaurant and a bar, catering for all your food and drink needs. 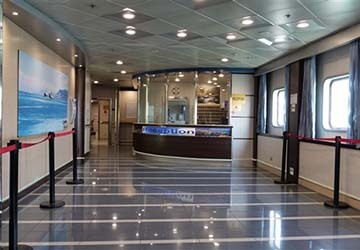 Please Note: Whilst we have taken great care in making our Corfu guide as accurate as possible, onboard facilities, services and entertainment may vary depending on the date and time of year that you travel, facilities mentioned may change without notification and ferry companies reserve the right to operate vessels other than those mentioned at time of booking without prior notification.